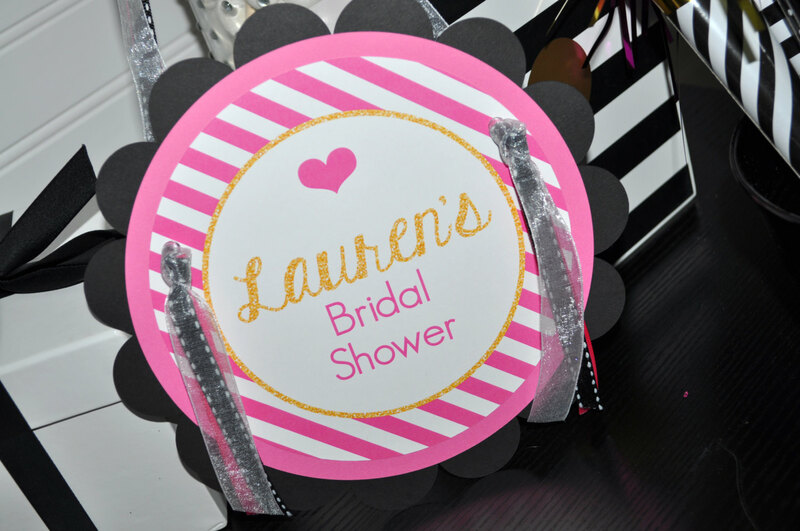 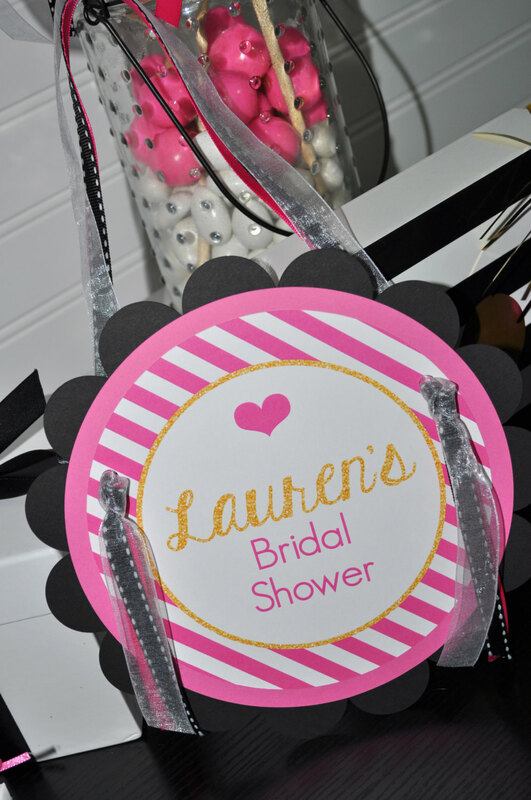 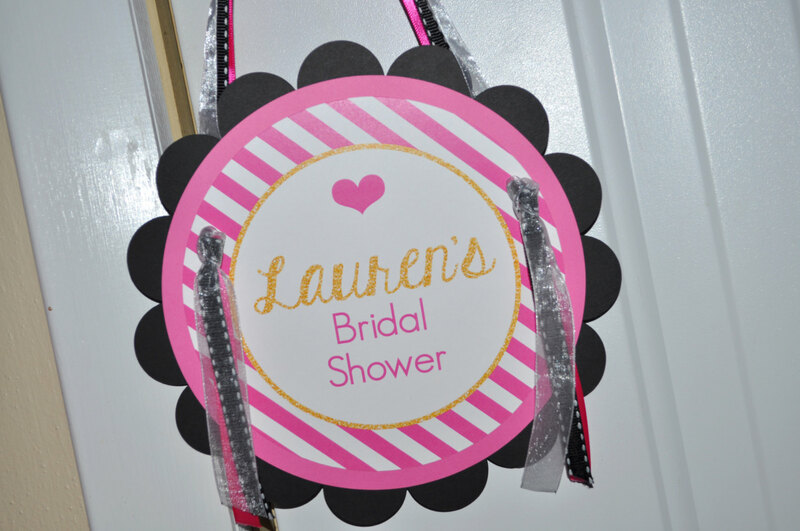 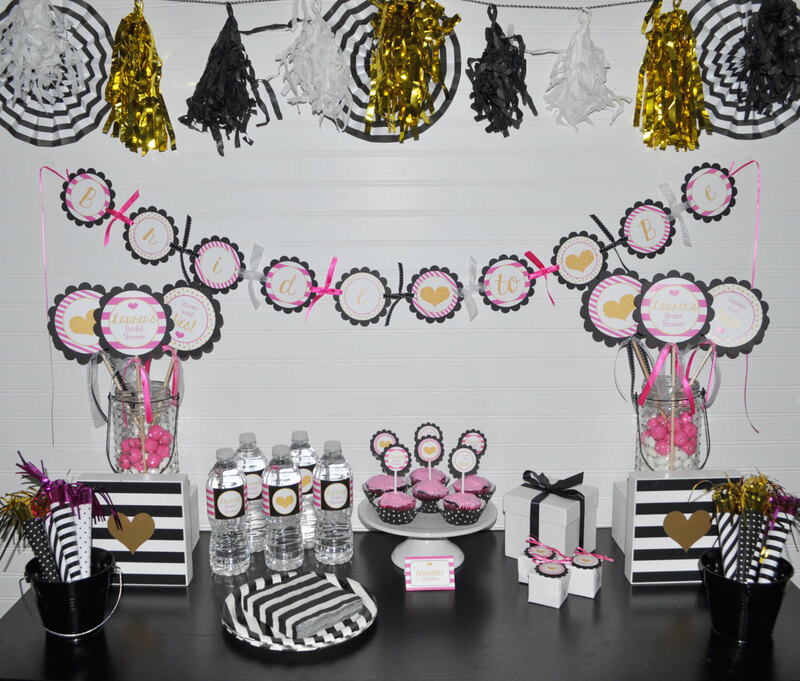 Welcome guests to your bridal shower with these pink, black and gold glitter heart theme bridal shower party door sign. 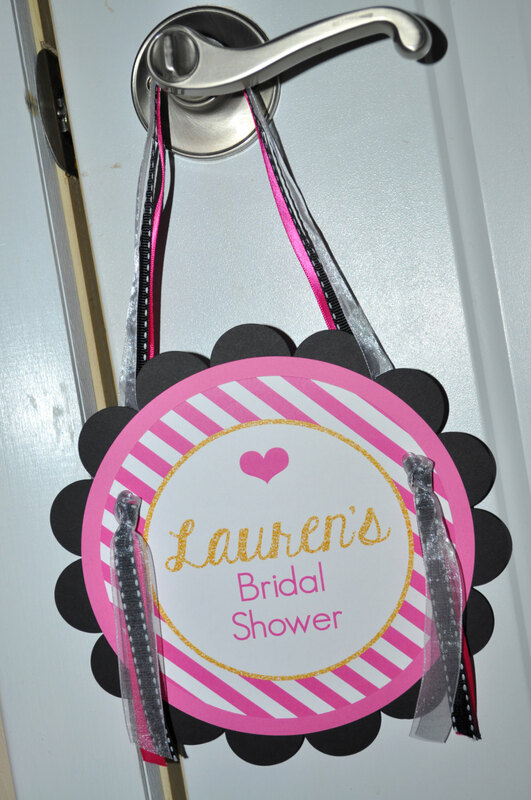 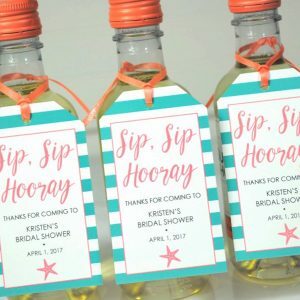 Personalized with the bride to be’s name. 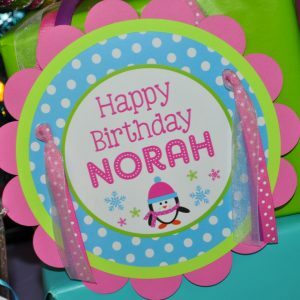 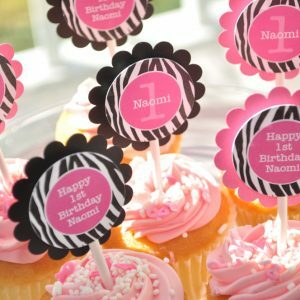 Sign is a 7.75" scallop tied with coordinating ribbons to hang from a doorknob or hook.